This is about as finished as it is going to get. The juried art show that I was going to submit this piece to came out with their square feet and weight limitations, and my piece is too heavy and too big. So, it was fun making this piece, but for now there is no show to enter. I guess I will find a wall somewhere to hang it. 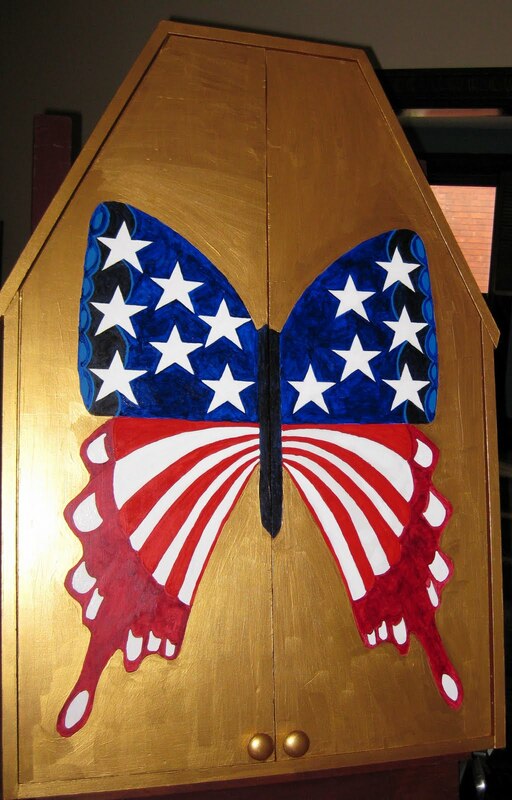 I will be making smaller altarpieces in the future. As I get older 30 pounds starts to feel more like 50 pounds. 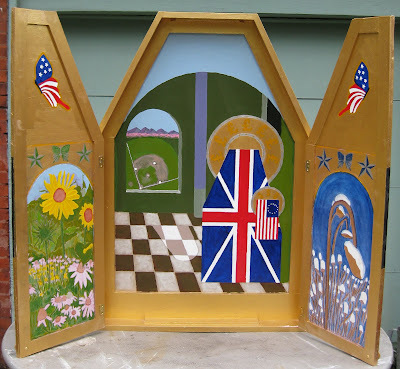 THE ALTARPIECE: M&C: LPFOTW 43.5" x 31"(closed) 43.5" x 59" (open) wood and acrylic paint w/brass hinges, 2011. From the workshop of Frederico da Vidi. They should have posted this before they decided to take entries. I haven't seen this piece for a while, thanks for posting photos, it looks great. I haven't seen this piece for a while, it looks great, thanks for putting up the pics. 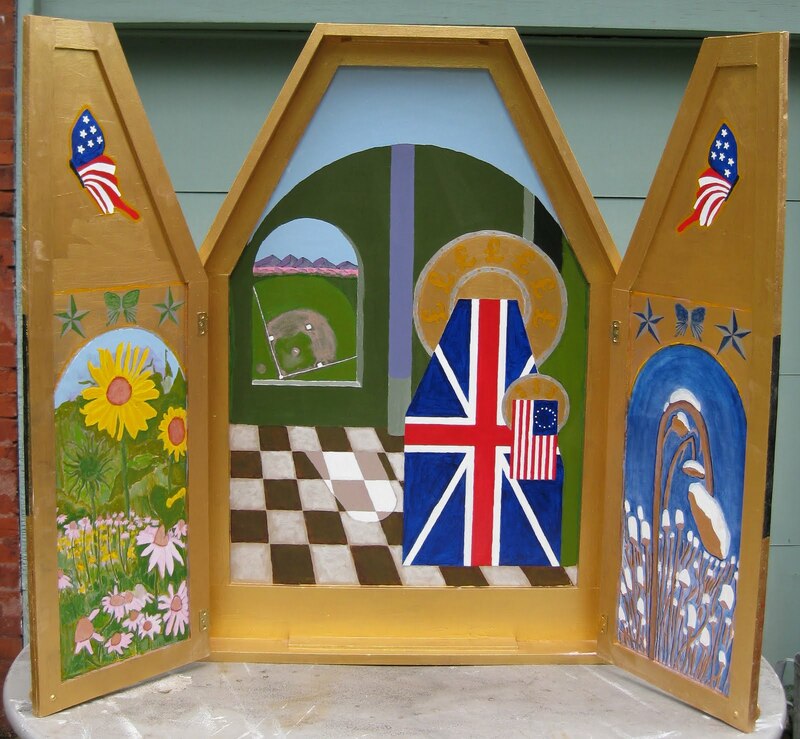 Next time I will build a smaller altarpiece. Last year there were some large pieces in the show. This year, because of space, they have set limits of 9 square feet per piece. But, I also went over the weight limit of 20 pounds too. Perhaps there will be a show down the road. I had fun making the piece and painting it. A Lot Less Petroleum Could Go A Long Way!